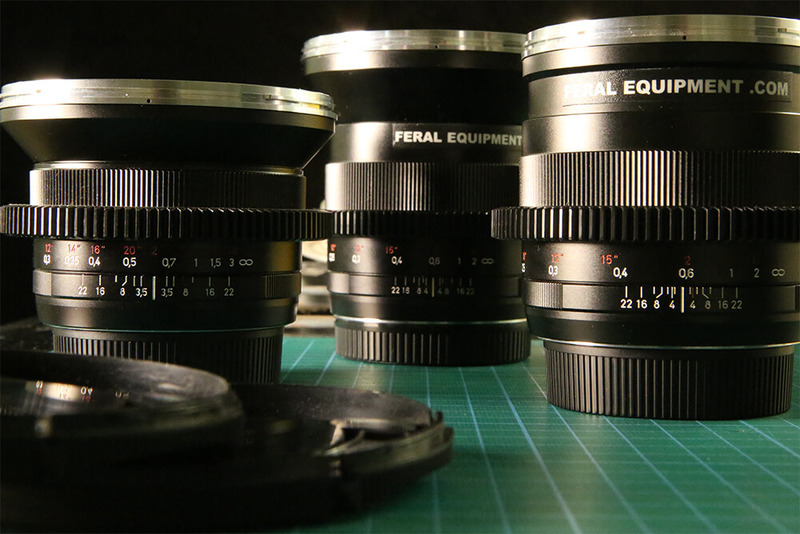 Zeiss ZE prime lenses were designed for use with analog and digital single-lens reflex (SLR) cameras. Geared, focused manually, and their exceptional colour control allows for extraordinary high contrast. We can also provide a reduced set of 18mm, 21mm, 25mm if used with our Kryten Helmet rig.